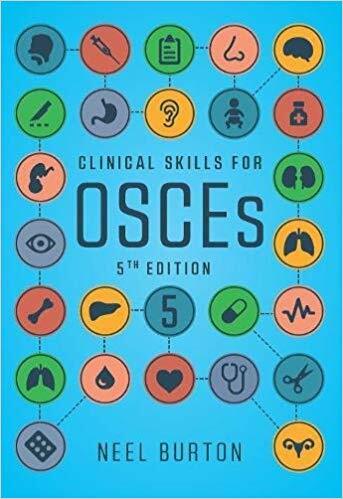 Clinical Skills for OSCEs has been a bestseller since it was first published in 2002. The clear and concise writing style coupled with easy-to-follow line diagrams and essential clinical photographs have made this book a firm favourite with medical students. This new edition features contributions from over 30 current students from medical schools across the UK, to ensure that the book remains current and appropriate for the requirements of today’s students. The book has been fully revised and updated and includes 8 brand new stations: Blood cultures; Cognitive testing; Dementia diagnosis; Weight loss history; Ophthalmic history; Choking; Imaging tests explanation; Endoscopies explanation. 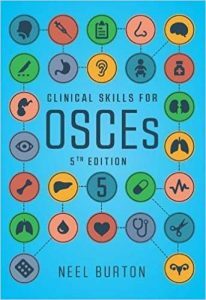 With over 120 stations in total, Clinical Skills for OSCEs 5e continues to provide the essential skills and knowledge for all of the key topics you will need to know at medical school.